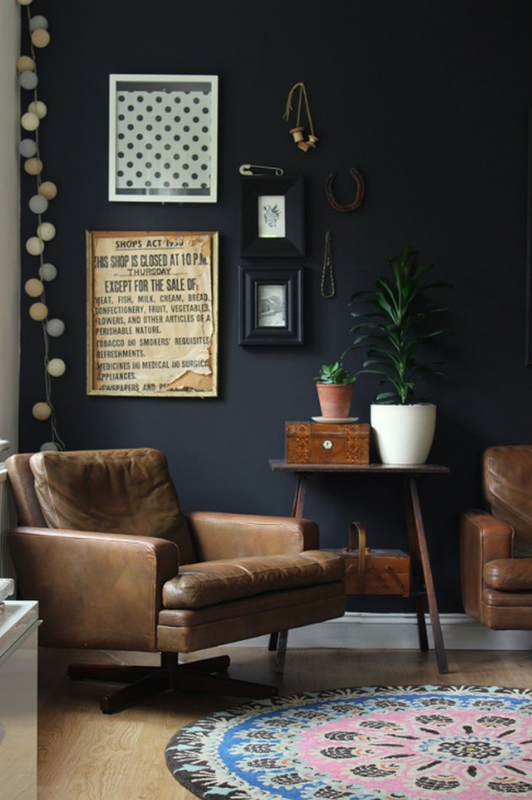 Covering a wall with black paint can feel like a dramatic transition — but in the right space, dark walls can feel beautifully decadent. Whether you're looking for a high-contrast, black-and-white effect or you're longing for a moody, old-world vibe, consider choosing this ultra-deep hue for your next living room makeover. Besides, what's the worst that can happen? It's just paint. So sit back and relax, while these eight rooms convince you to give the bold shade a chance. 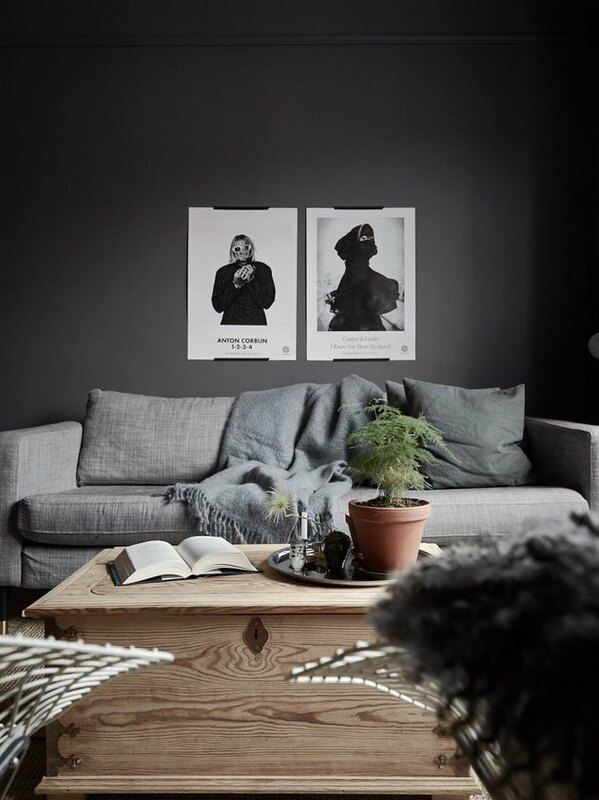 Create a moody atmosphere by combining matte black walls and deep velvet hues like blogger Anna Dorfman did in her living room. The dark shade transforms jewel tones into the pinnacle of luxe — especially when matched with herringbone wood flooring, a beautifully carved fireplace surround, and high ceilings. Let your walls act as a dramatic backdrop for your home's minimalist aesthetic. 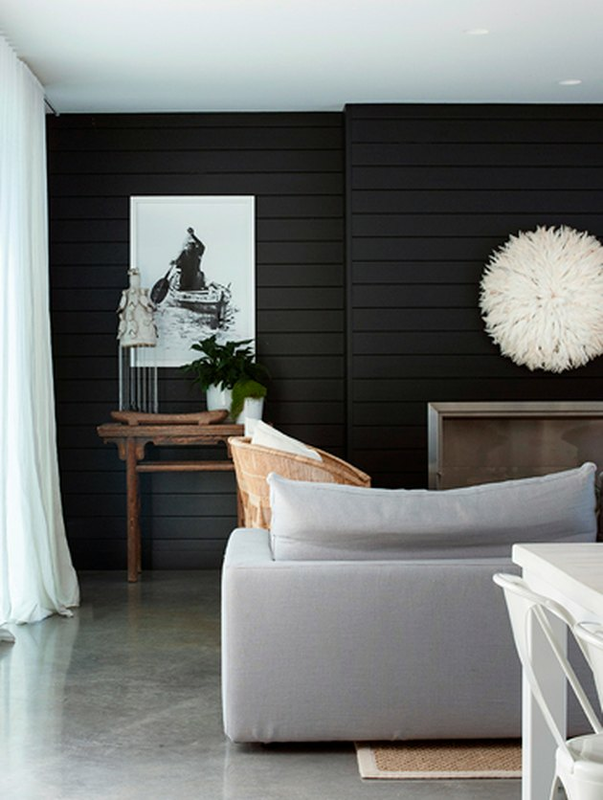 Opt for an iky black shade that will add depth and complement your pared down space, while a few oversize accessories and a hint of greenery infuse texture. 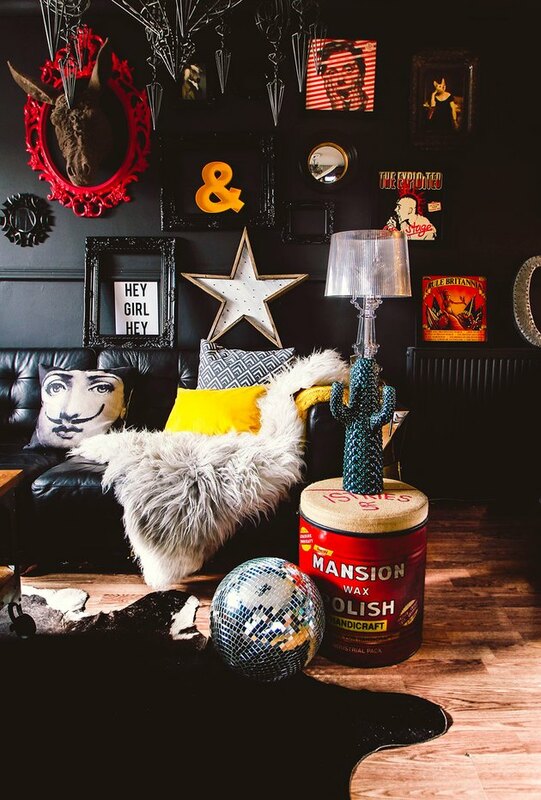 Black makes the perfect background for this maximalist's love of color. Photographer and blogger Pati Robins uses vivid yellows and bright reds to create an eclectic, almost over-the-top living space that demands attention. 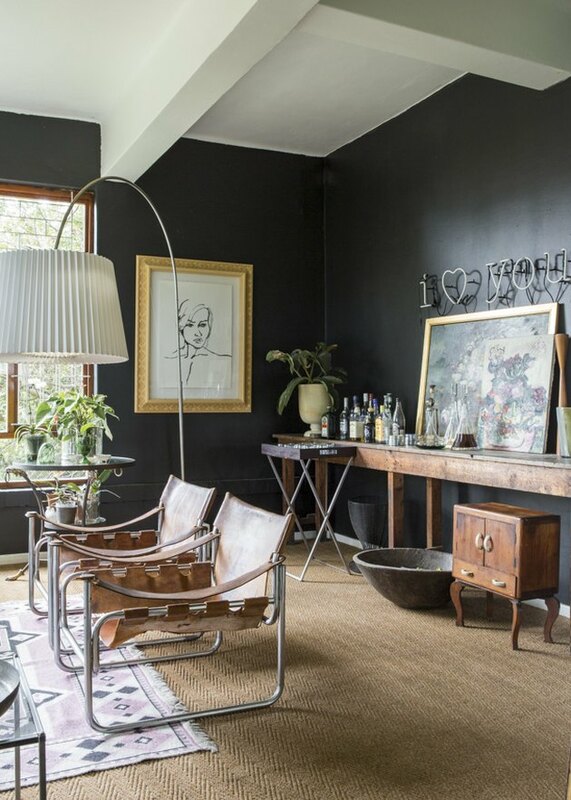 There's something so delightful about black walls paired with rustic, vintage furniture. The classic combination of worn leather and weathered wood adds a dash of down-to-earth coziness to this elegant living room. Choose a satin enamel or semi-gloss finish for your black paint to make white furniture feel even brighter. 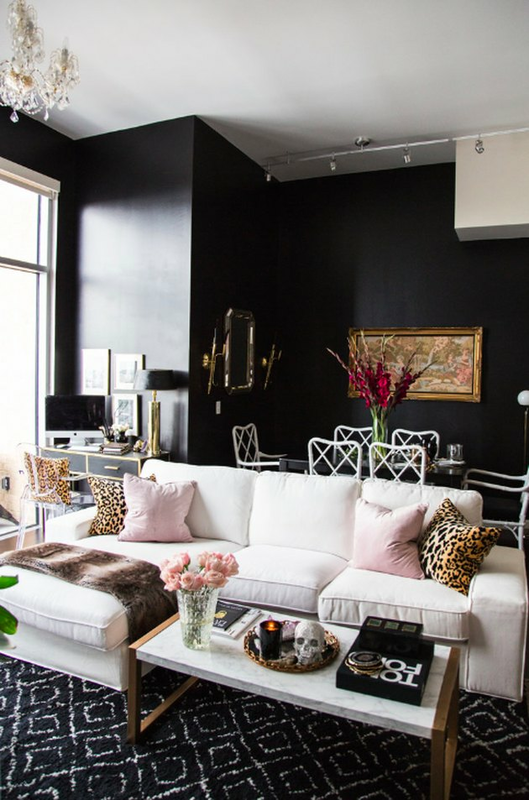 In this glamorous apartment, reflective black walls pair a white sofa and dining set with gold finishes and animal print accents to create a dramatic space full of interesting contrast. 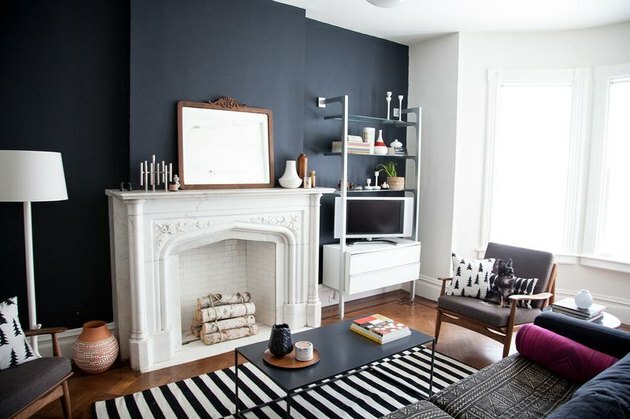 Black walls don't have to be harsh and extreme. 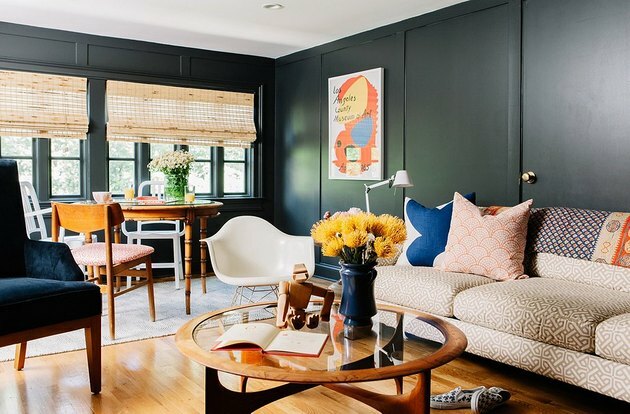 Take notes from this comfy living room designed by Heather from Growing Spaces, and select furniture upholstered in a light-color leather to temper down the brilliance of bold, black paint. Throw in some vintage artwork and a muted-pastel area rug to create an old-fashioned and inviting atmosphere. 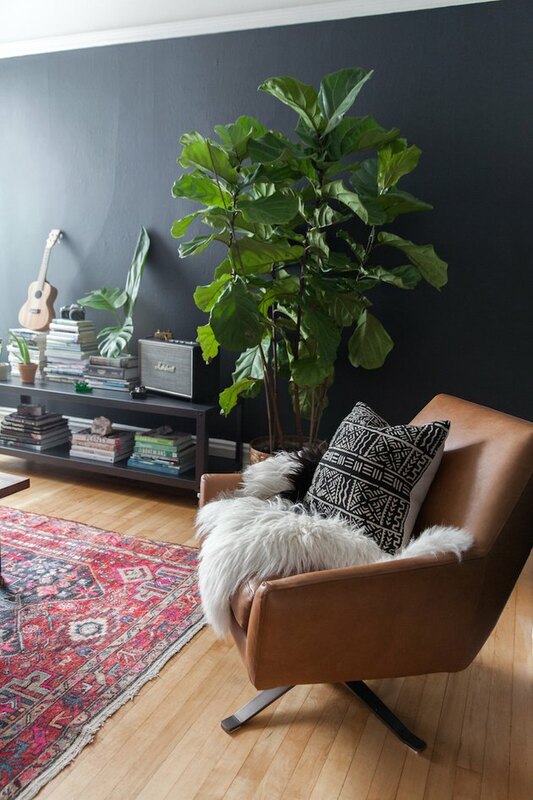 Dark green leaves look fabulous against a black wall, as can be seen in San Francisco-based photographer Jen Kay's living room. Stuff your space with every plant you've ever loved — from succulents, to cacti, to hanging plants, and more — to enliven your sitting area and create a boho-chic bungalow all your own. Joanna Gaines would give this sophisticated shiplap upgrade her stamp of approval. The bold black horizontal planks paired with elegant white drapery panels, a woven rattan lounge chair, comfy sofa, and sisal area rug, all work together to add a variety of different texture to this stunning modern beach house. What Colors Go With Burgundy Curtains?